The NaMo app asks users to provide access to as many as 22 personal features including location, photographs, contacts, audio and camera. The NaMo app asks users to provide access to as many as 22 personal features including location, photographs, contacts, audio and camera. The app is promoted through all official government channels. 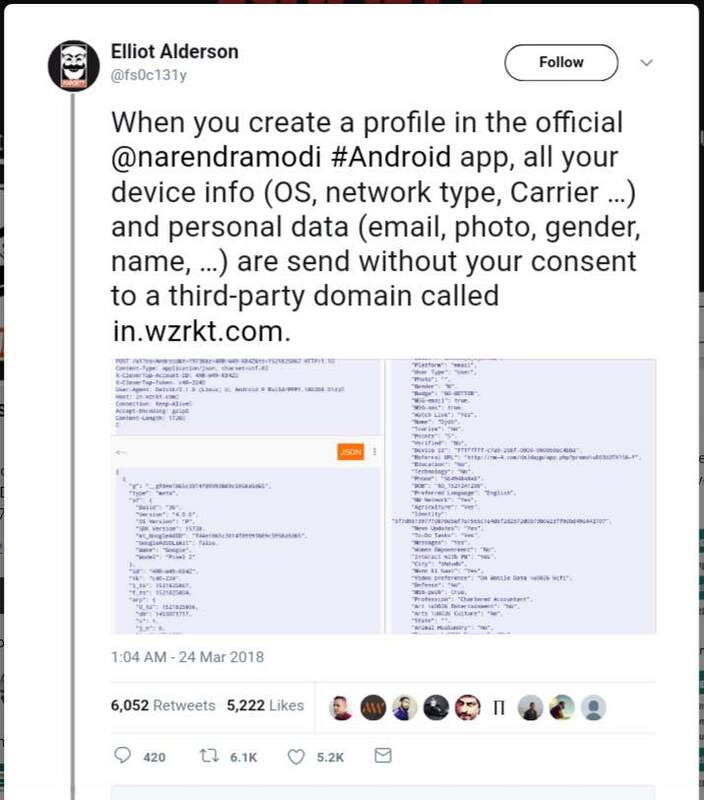 Later, the Bharatiya Janata Party (BJP) on confirmed that the user data from the Narendra Modi Android app is being shared with a “third party service” for better user experience. The TPA is has been termed to be very similar to Google Analytics. The application has been alleged to share private information with TPAs without any user consent. “The data in no way is stored or used by the third party services.” The app processes the user data for Analytics to offer better-personalised experience according to a user’s interests. The website associated with the NaMo app was updated to clarify that there might be certain user information which is shared, such as name, device information, and location with third-party services. The party termed has termed it as analytics which is being done to offer a better and personalised user experience. Congress President Rahul Gandhi accused PM Narendra Modi of giving away user data obtained through his NaMo App. The newly elected party president asked everyone to join his #DeleteNaMoApp trend and delete the Namo App, but it backfired. 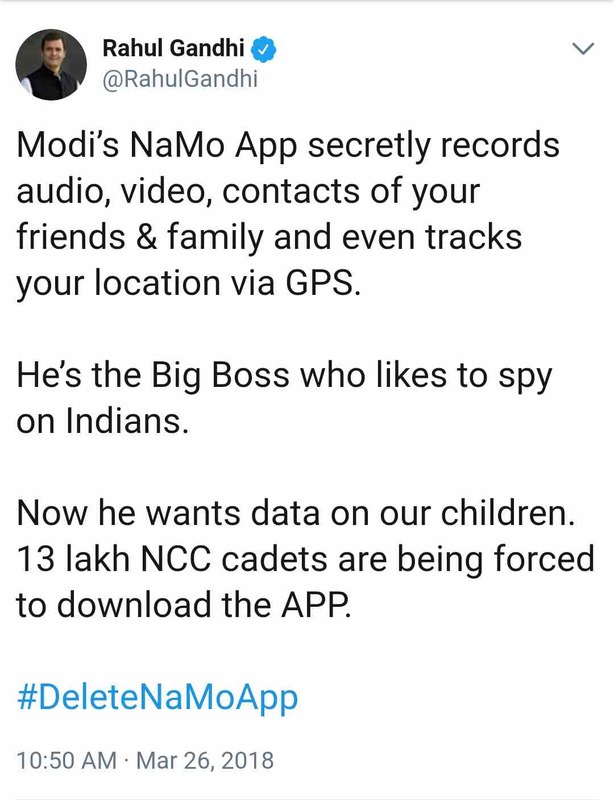 Instead of deleting the app, the tweet served as an endorsement, as the popularity and downloads of NaMo App only increased. Rahul Gandhi attacked Prime Minister after BJP was alleged to be stealing user data with the NaMo app. The party has been in the damage control mode after the privacy details of the NaMo app were leaked. It has promised that the information with the app will remain confidential and safe, and would not be shared with any third party app. Though the PM’s website earlier claimed that no personal data would be provided to any third party, it later said that some data may have been shared. That’s sneaky! Give Ideas To Indian Railways, Win Rs 10 Lakh; Shatabdi Fares Will Be Reduced!